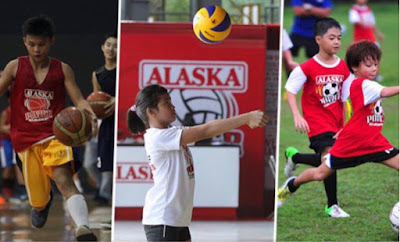 According to the Food and Nutrition Research Institute’s 7th National Nutrition Survey in 2008, at least 16 million Filipinos aged 20 and above, and about 2 out of 10 children are overweight. Undernutrition also remains to be a public health concern affecting nearly 3 out 10 children. Also recently, there have been prevalent issues on change in children’s interests and behaviors brought by fast-changing technological environment. With these alarming concerns, Alaska Milk Corporation is committed to help provide proper nutrition and promote an active lifestyle. 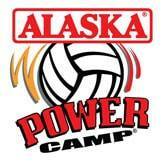 Thus every summer, Alaska gathers basketball, football and volleyball enthusiasts through its Alaska Power Camps. 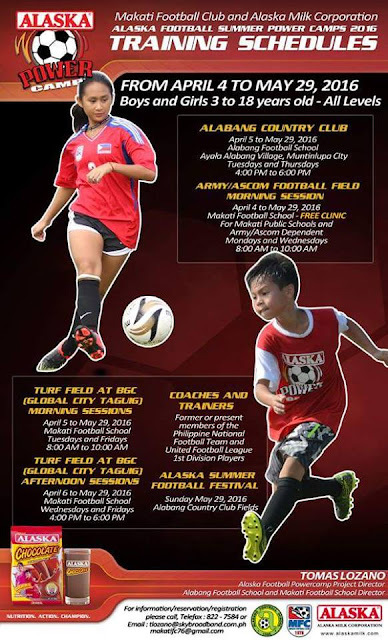 The summer sports program inspires both girls and boys to engage in sports. 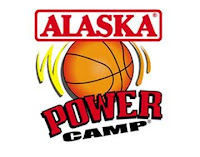 Moreover, through basketball, football and volleyball, the child does not only improve his/her talent but also acquire proper skills development and formation of the Power Camp values of discipline, determination, hard work, teamwork and sportsmanship. 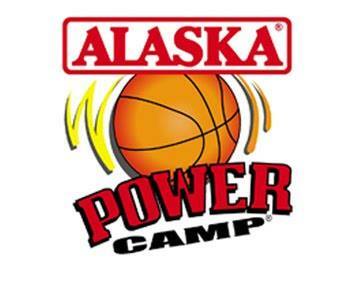 Distinguished Philippine sports icons will lead the Alaska Power Camps. 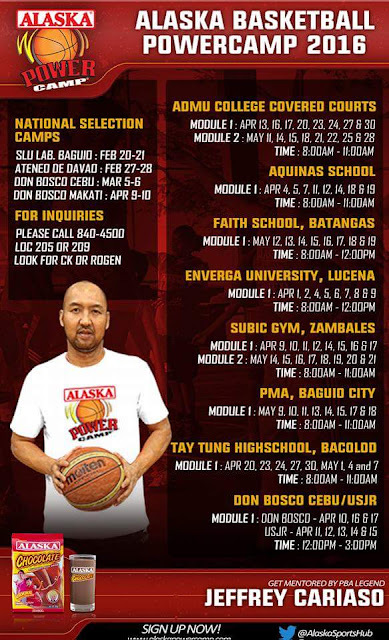 First, Philippine Basketball Association (PBA) legend and Alaska Aces assistant coach Jeffrey Cariaso will lead a team of basketball coaches. 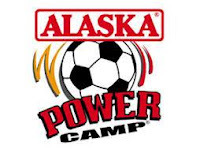 Second, former professional football player and currently Alaska Football Power Camp Project Director and Alabang Football School, Makati Football School Director, Tomas Lozano will lead the Alaska Football Power Camp. 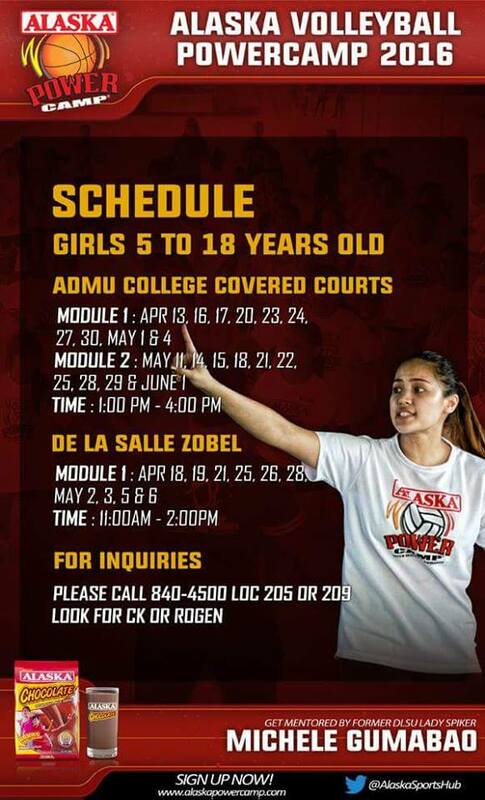 Lastly, Philippine Super Liga volleyball player and former De La Salle University Lady Spikers star volleyball player, Michele Gumabao, will lead a team of volleyball experts in teaching aspiring young girls in the Alaska Volleyball Power Camp. For inquiries please call 840-4500 local 205 or 209 and look for CK Kanapi-Daniolco, Sports Development Group.